Known affectionately by its residents as 'Indy', the city of Indianapolis is the capital of Indiana and lies southeast of Lake Michigan on the White River - almost exactly in the centre of Indiana. 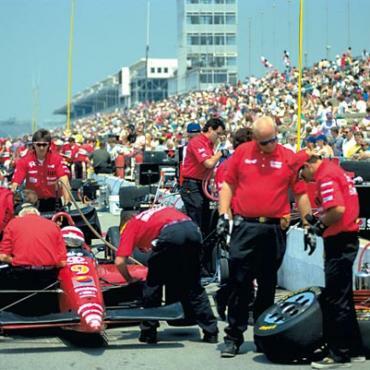 Indianapolis is best known for its speedway motor racing and the Indianapolis 500, held annually on the Sunday prior to Memorial Day. It is the oldest car race in the world and the biggest single-day sporting event, drawing hundreds of thousands of motor sport fans. Founded in 1821, Indianapolis has grown dramatically and in 1910, was home to more than 60 major car manufacturers. Now one of the world's largest cities, Indianapolis contains many interesting and historic districts, with Victorian architecture, cobblestone streets, interesting local shops and popular restaurants. Much of the city has been extensively redeveloped over recent years, particularly downtown Indianapolis. There is also quite a bit of dedicated green space with White River State Park - regarded as one of Indiana's finest parks, standing in the very heart of downtown Indianapolis; and Garfield Park - the oldest park in Indianapolis, dating back to 1889, known for its conservatory, sunken garden and recreational activities. 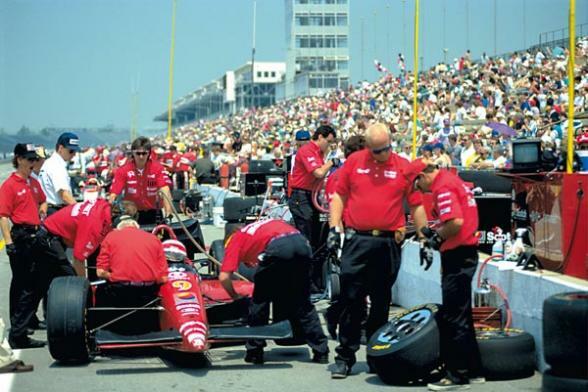 The Indianapolis Motor Speedway, located in Speedway, a suburb of Indianapolis, is the home of the Indianapolis 500.